Have you ever heard of Jimmy Lin? His Chinese name is 林志穎, and he’s a Taiwanese singer, actor, and professional race car driver. Now why would I be talking about him in this blog? You guessed it. 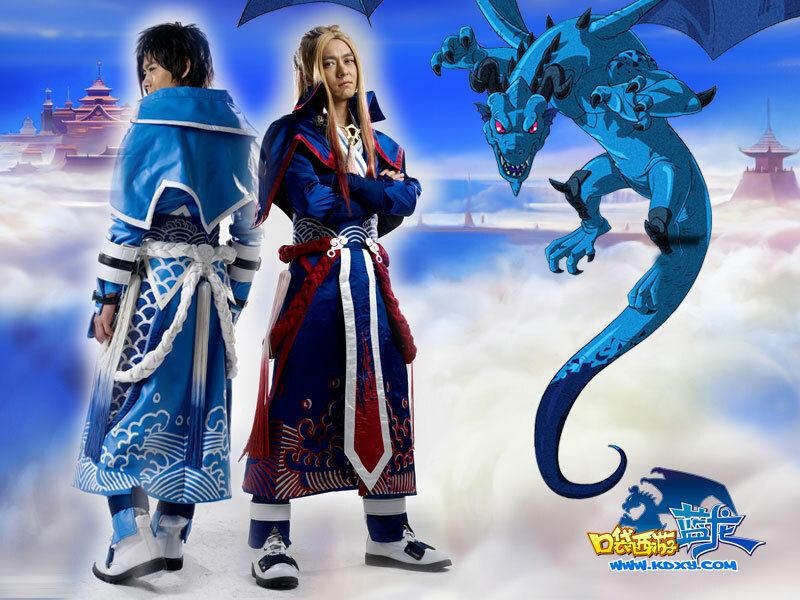 Jimmy Lin has cosplayed for the anime and game title, "Blue Dragon". My only dilemma is, there’s little information about who he’s cosplaying as, and my Chinese is not good enough to read up a lot of what’s written about it on the Internet. Oh yes, both characters are Jimmy. It’s been photo manipulated to feature both of his cosplays. If anyone has more information, please do share, and I will quote you in my blog. Thanks! You are currently browsing the archives for the Blue Dragon category.